So its now just under 10 days until the 2018 World Cup (in Russia). The last several years I have become less bothered about the national team – partly (mostly?) because of the recent lack of success in recent major tournaments. Not just that we get knocked out “early” but the manner in which we are knocked out. E.g. v Iceland. I think generally the English football fans as the years have gone by the last 10-15 or so years have become less bothered – especially right after the tournament – with attendance at games down and people commenting on radio shows, what you read online and social media etc. But it feels like people are getting a bit more excited and positive about the England football team recently. It seems with Gareth Southgate, what hes done on the pitch with a younger team with more pace has got people excited about England again. And also off the pitch I think he has dealt with things well – including the whole recent Raheem Sterling thing and the media basically targeting him and having a go at him for stupid reasons. But thats another story. While talking about off the field stuff, thought I would mention about Russia itself. Hopefully everything goes well in Russia. Unfortunately it is not unknown for there to be problems in Russia around football with hooligans. In the last major tournament in 2016 in France, Russia fans (and others) were involved in violence. And we know that England fans always drink too much and act like idiots. I hope nothing bad happens! Now with all this being said about England, I am not expecting us to win but I am hoping at the least we get to the quarter finals. Which may not sound too positive but not long ago I was hoping just get out of the group stage! LOL. Will be interesting to see how Belgium do – on paper, a very very strong team but almost like England – actually worse than England – with their tournament record. 2014 actually they did fairly well getting to the World Cup quarter final and 2016 got the quarter final for Euros – but before that was 2002 got to round of 16. They didn’t even qualify for 2006 and 2010 World Cup; didn’t qualify for 2004, 08 or 2012 Euros. So actually last 2 tournaments they have got to quarter final. Maybe a couple steps further in Russia? 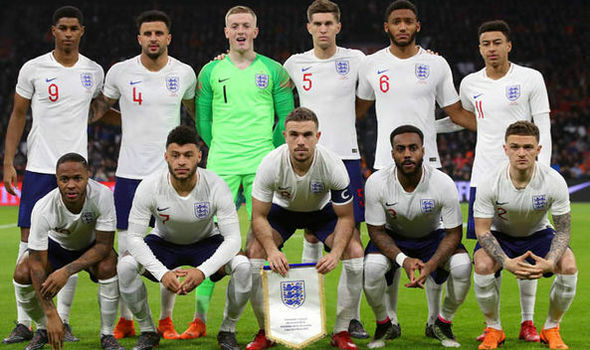 So although I started this post talking about how I was becoming less excited about the England football team recently, at the end of the day its the World Cup and its the biggest tournament in world football. And the biggest tournament in the world probably. Certainly if you take into consideration the number of people who watch it. The 2014 World Cup final was watched by 1 billion people around the world! The SuperBowl got about 112 million this year in the US – can’t find the worldwide figures. Here are the fixtures for the World Cup (including the channels and time they are on in the UK)!